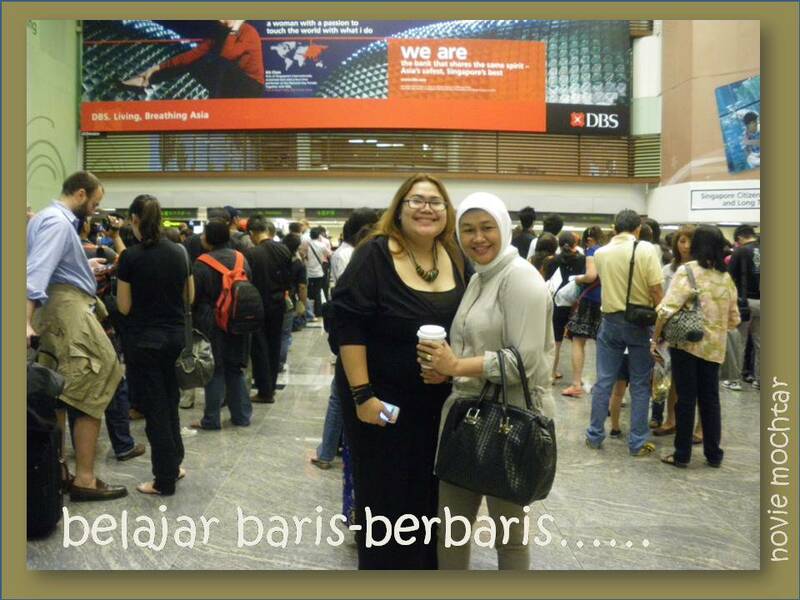 “Early morning flight to Singapore with no breakfast,…..i entered this country. Its really-really make my stomach dancing. So, take away an apple whoatweal muffin ‘n’ hot coffee @ starbuck calming my stomach”. namanya baris-berbaris plus keroncongan di imigrasi row.